On Thursday, Jan. 30, the Bates Arts Society launched its website, in the process beginning an online arts-sharing community for the college. Student-run and representing artists in the Bates community, the club was the idea of founder and President Julian Bardin ’16 of Madison, Conn., a studio art major. As early as his first year at Bates, Bardin recognized the need for a grassroots, ground-up vehicle for work in the arts. Designed by Michaela Scanzillo ’16 of Marshfield, Mass., the site boasts a clean and elegant look in which an Instagram feed of member artworks is prominent, as well as a promotional video providing a whirlwind glimpse of the arts at Bates. The society’s leadership structure resembles that of a newspaper, with different sections of the arts — such as visual, music or theater — each represented by a content manager. Initially planning a more film-centered forum, Bardin and other members of the club quickly noticed the opportunity to engage the arts more broadly. Now the site encompasses visual and performing arts in the hopes of highlighting as much Bates artistry as possible. One distinctive feature is its artist-profile page. Here, artists can submit bios, contact information and other websites that represent their work. This feature allows artists to promote their work, in addition to keeping an archive of it on the site. 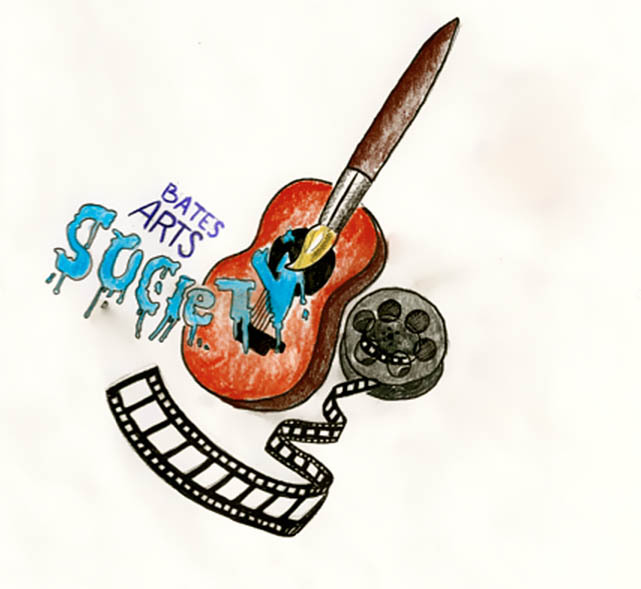 The Bates Arts Society joins the Arts Collaborative, the Arts House and myriad other arts initiatives at Bates, both curricular and non. Bardin explains that the BAS is not competing with the others, but instead is trying to fill a gap. The club’s goal, says Vice President Erin Montanez ’16 of Fairfield, Conn., is to spotlight Bates people who create work on their own but have yet to be recognized for it. “We’re trying to get their names out there,” says Montanez. The society ultimately hopes to complement the Web presence with events on campus promoting arts awareness. In fact, the club played a role in mounting last month’s Arts Crawl.